India is a truly odd country filled with different combinations of people, cultures, and locations. The country currently has a booming economy, and they are fluent in internet technology, which is their main strength at the moment. They have bustling markets that looked the same as they did long ago in history, but they sell smart phones and movies. The country, however, continues to support their ancient traditions, including some truly bizarre rituals. 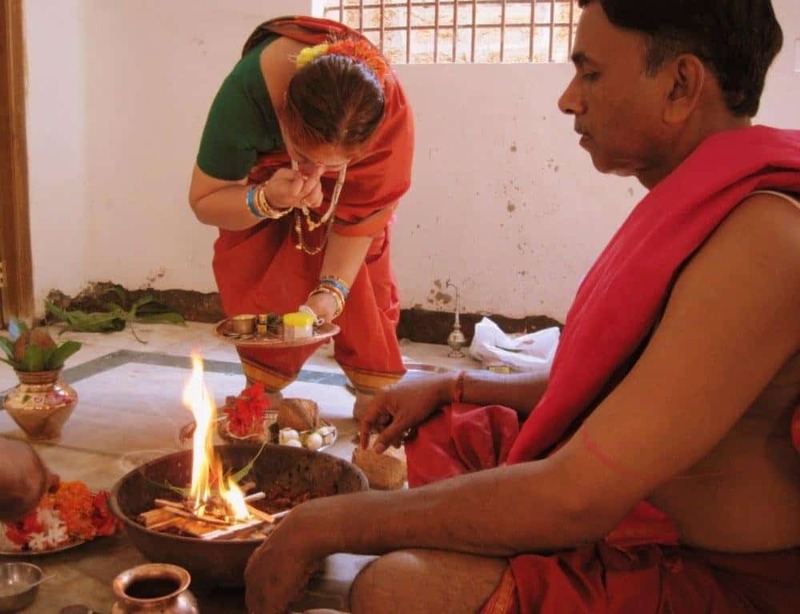 Here are ten such rituals that you may want to experience in your lifetime. People located throughout South India continue to celebrate the Thimithi festival, which has participants walking barefooted across a shallow pit complete with burning firewood or charcoal. 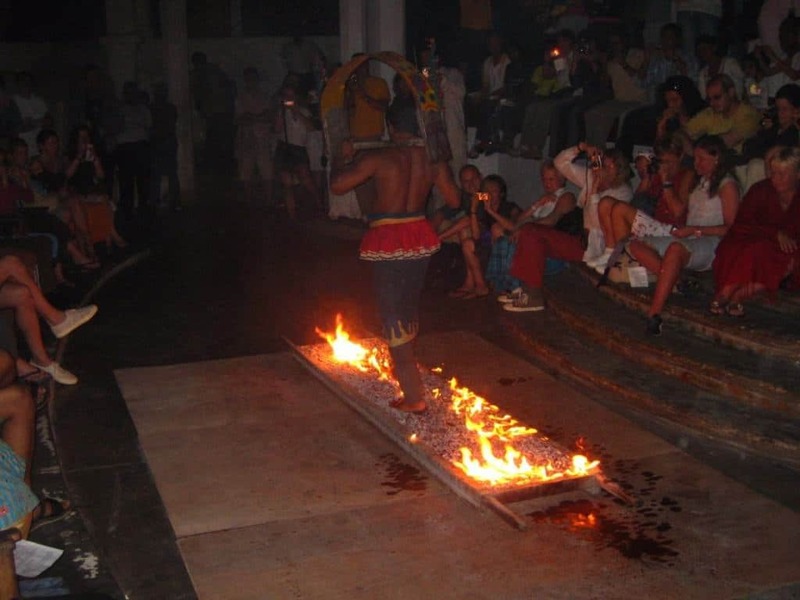 The fire walk is to honor the goddess Draupati Amman, a Hindu goddess. 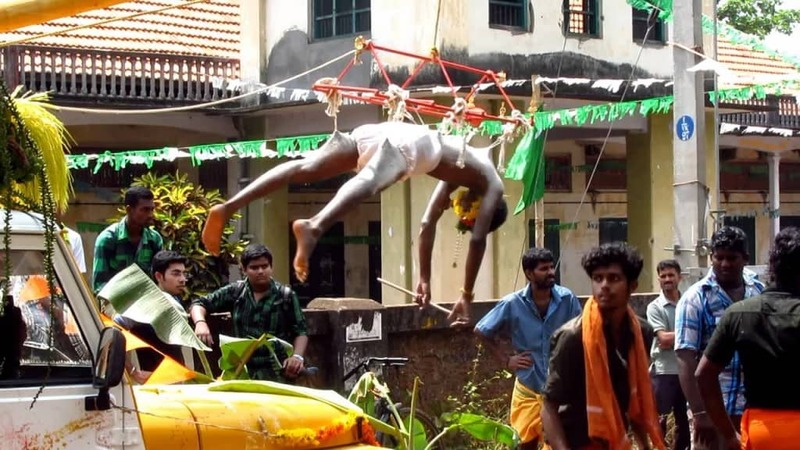 Hooking, and not the prostitute kind, is seen during the Thookam festival, when the backs of devoted Hindu people are pierced with sharpened hooks and lifted off the ground by using ropes and a scaffolding. Children are sometimes tied to their hands. 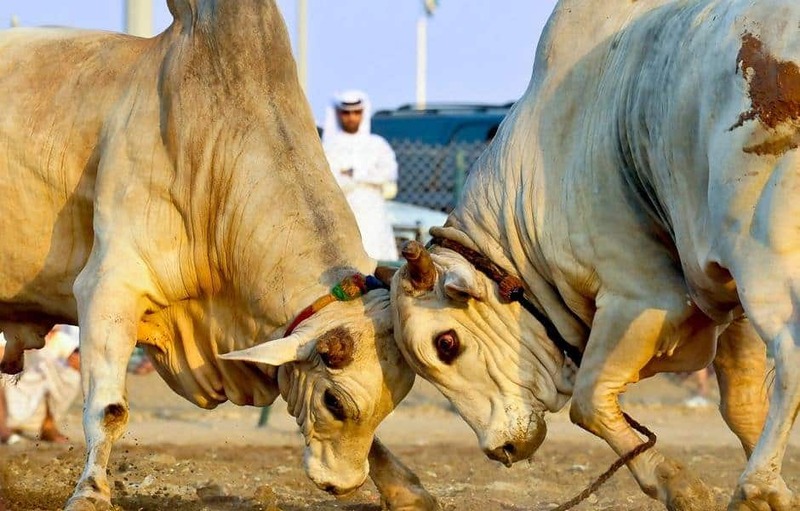 Bull Fighitng is not just for Spain any longer, as Indian bull fighting has been popular for centuries. There are no ropes or weapons, and the bull’s life is spared once the festival has come to a close, as they are sacred in the country. Self-flagellation is terrifying for the tourist who has never witnessed something quite like this. 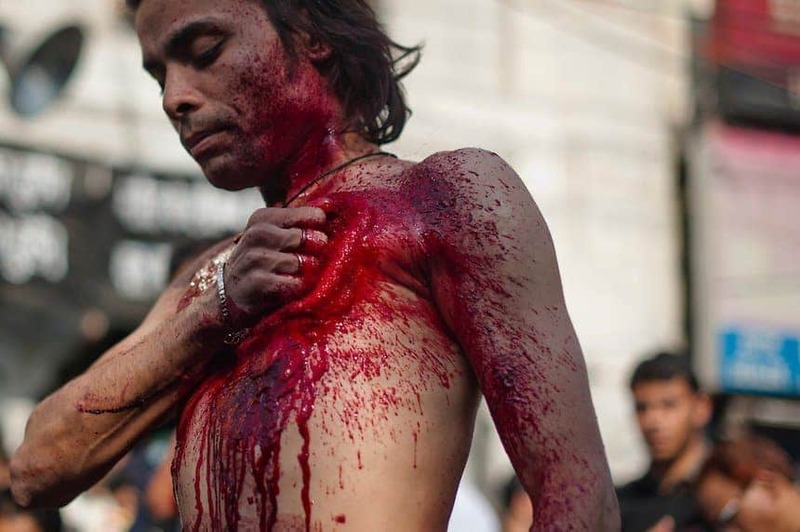 People walk through the streets and markets on Muharram and flog their naked bodies with chains, which are known as ‘Matam’. 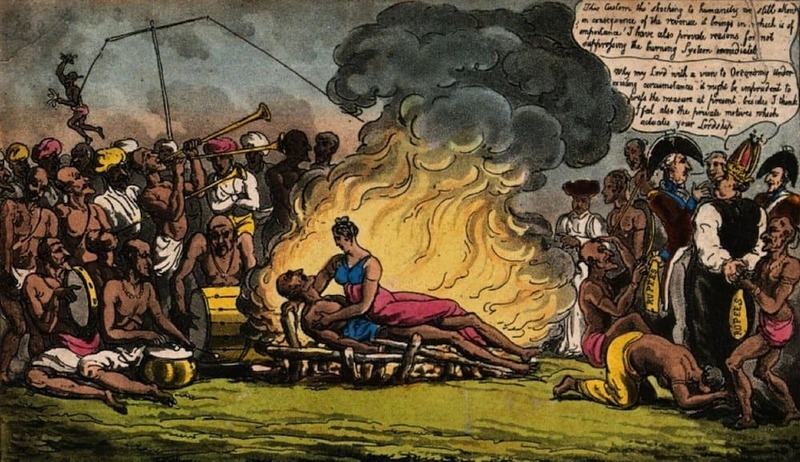 Practiced a lot throughout the 17th century, widow burning is a weird ritual – which is generally voluntary – where the widow lies besides her deceased husband and then is burned alive alongside the remains of the corpse. 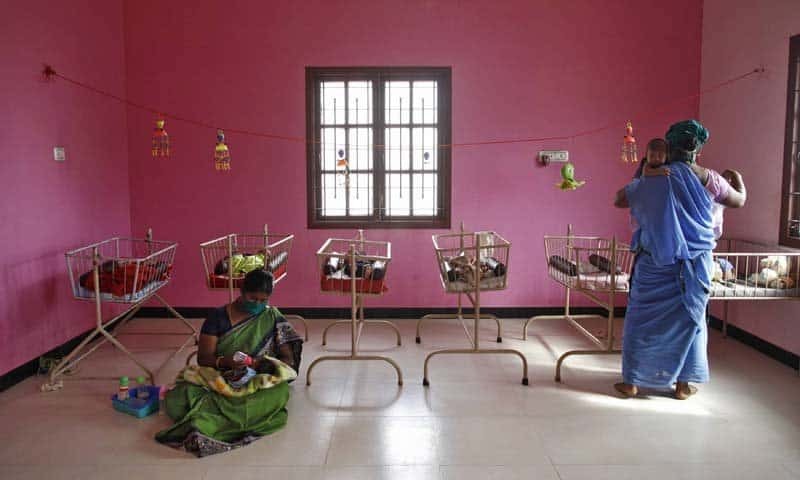 Every year in December, over a hundred babies are thrown off a temple roof to the awaiting crowd below. The baby plummets nearly 30 feet where a group of men with a cloth are waiting to catch the child. Those looking for a blessing generally do this with their children. Certain temples in Karnataka require everyone to drop and roll on the ground, their bodies scraping over food that was left behind by the Brahmins – or the priestly caste of India. The act of rolling is said to cure various skin diseases. 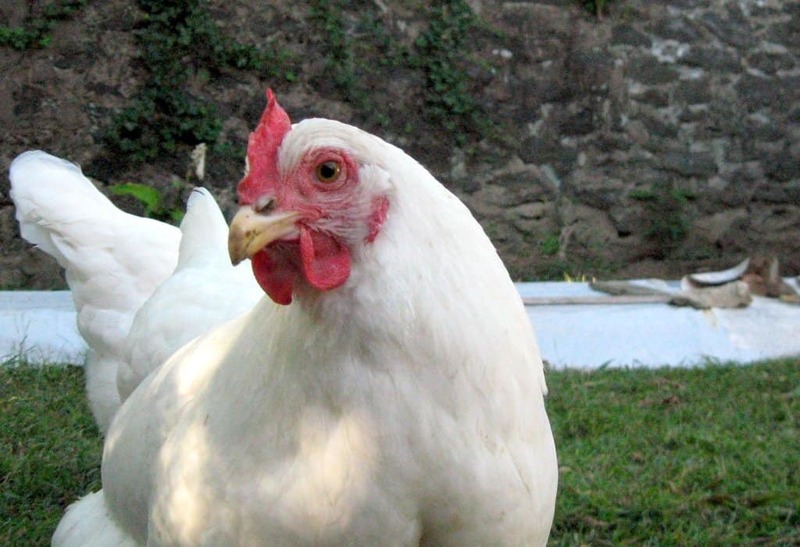 Chicken-shredding Exorcisms sound weird and extreme, and that is because it is. One method involves the slaughter of a white chicken, with the bloody parts then being placed around the house by a priest, who is usually the one who conducts the exorcism. This exorcism is then said to bring out the demon or spirit within the possessed individual, as these spirits/demons are supposedly scared of white chickens. Piercing your tongue is normal for a white girl in the suburbs these days, but in India they use long, sharp needles to puncture the tongue through its entirety. These needles are made of wood or steel, and may cause issues with the tongue retracting back into the mouth. 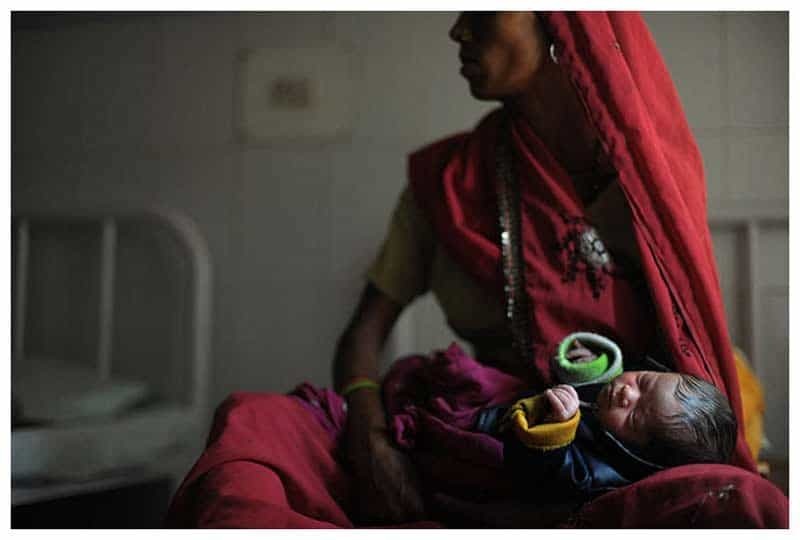 Sadly, this evil act does not only occur in India, but also other countries where male children are felt to be more desirable and important than a female. The young female child is murdered in her home, but was banned in the 19th century. This is probably one you don’t want to experience.